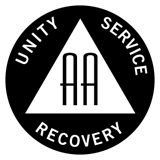 There are 744 regular weekly AA meetings in the area served by the Saint Paul & Suburban Area Intergroup. This number includes meetings that are flagged as MIA. Find all the meetings for a specific group by following a group link from the Groups served by Saint Paul Intergroup page. Find all the meetings for a specific service entity by following a group link from the Service Opportunities page. This directory is maintained as groups send changes to our office. Find meetings in Minneapolis and the Western Suburbs at Greater Minneapolis Intergroup. It is the policy of Saint Paul Intergroup that AA meetings in the extended Metro area and Western Wisconsin that wish to be posted in our directory are listed. We encourage meetings in our directory to send a representative to our monthly Intergroup Council Meeting.